In the last two Creators Workshop Book Club sessions, special guests Jeff Lemire (writer/artist on Sweet Tooth) and Joshua Hale Fialkov (writer on Echoes) discussed their early days self-publishing, and the lessons they learned before breaking in to the comics industry. 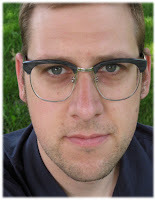 Jeff Lemire noted that before he began publishing, he spent seven years drawing comics on a daily basis. Lemire said this work will “never see the light of day,” but it taught him a great deal about the craft, and allowed him to become a more confident, self-assured artist. 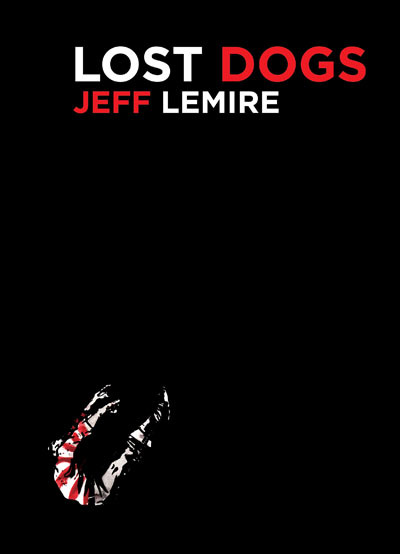 Eventually, Lemire released Lost Dogs, with the help of a Xeric grant. With that book, he said, he had a storytelling breakthrough, and began to develop a consistent voice and visual style. As a result of this long wait, Lemire said, when he did start to release work, it was noticed more quickly, and people took him more seriously. Now, several years later, he is the writer/artist of Sweet Tooth, and the writer of DC titles Animal Man and Frankenstein: Agent of SHADE. His heavily-anticipated graphic novel The Underwater Welder is set to come out next year from Top Shelf. Despite his successful path, Lemire said he would not necessarily advise other artists and writers to wait as long as he did. Another recent book club guest, Joshua Hale Fialkov, made effective use of the Internet in his early days as a comics writer. 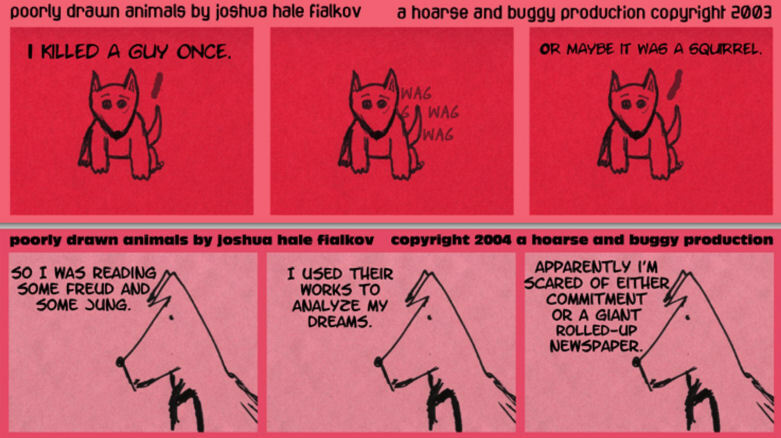 Fialkov said that he initially had trouble finding an artist, so he started a webcomic called Poorly Drawn Animals, which he wrote and drew himself. 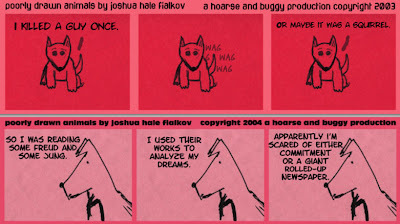 Poorly Drawn Animals was a gag strip, with three panels, often using a static image with only the dialogue and captions changed. Fialkov also recommended that writers and artists should work to get their comics made. Rather, he said, once you see the physical product, you start to learn what works and what doesn’t, and how to move forward with your craft. 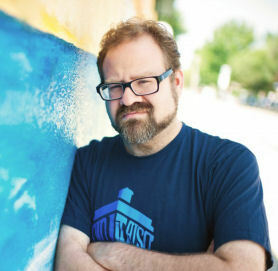 Since his Poorly Drawn Animals days, Fialkov has gone on to write Elk’s Run, Tumor and Echoes, and is currently writing I, Vampire for DC Comics, along with Last of the Greats, a creator-owned ongoing from Image Comics. In January, he begins a run on Doctor Who for IDW Publishing. Creators Workshop Book Club sessions take place every month, featuring guest writers and artists discussing the craft and art of comics, as well as the business side of things. Additional live Workshop sessions take place every month, giving members real-world knowledge that will help them succeed in their comics career. There’s still plenty of time to sign up before next month’s sessions. We hope to see you there.